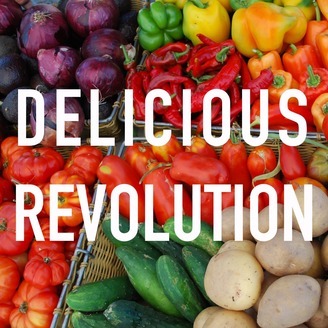 Delicious Revolution is a show about food, culture, and place. We talk with people whose expertise in food comes from working with food as farmers, fishers, artists, cooks, activists, scholars, journalists, and more. They spend a large portion of their life thinking about food- what it means, how to make it, how to change the food system, how it ties together societies. We will bring you in-depth conversations with some of the brilliant people that inspire the ways we think about food. 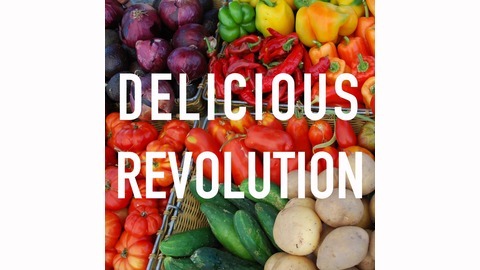 Find us online at deliciousrevolutionshow.com Chelsea Wills and Devon Sampson produce Delicious Revolution. Niaz Dorry moved to Glauster, Massachusetts, the oldest settled fishing port in the United States, in 1994, and she has been working with small-scale, traditional, and indigenous fishing communities in the U.S. and around the globe ever since. After a working as an environmental justice organizer in Greanpeace’s toxics campaigns, she started working on fisheries issues. She’s been organizing with the fishing families of the North Atlantic Marie Alliance since 2008, advancing the rights and ecological benefits of the small-scale fishing communities as a means of protecting global marine biodiversity. This year, NAMS and the National Family Farm Coalition decided to join forces and share leadership, with Niaz as their director. She is currently on a national tour of farms and fishing communities to kick of this joint effort. I spoke with Niaz just before she left on tour. Here’s my conversation with Niaz Dorry.